Matt is a USDF Bronze and Silver Medalist. While being a talented FEI rider and trainer, it does not define him as a horseman. 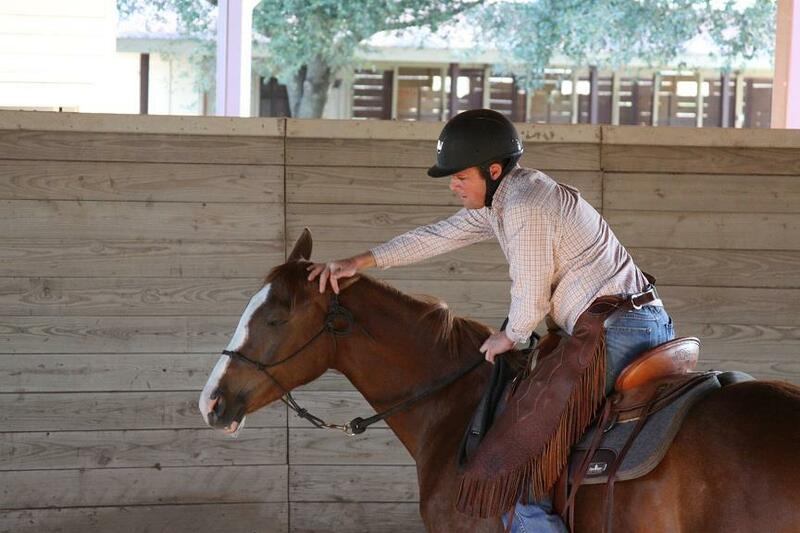 Matt is acutely qualified in all areas of horsemanship because of his diversified background. Matt grew up in Longview, Texas and started riding at the age of 11 when he began volunteering at Windridge Therapeutic Equestrian Center. Matt went on to start two more Therapeutic Programs for at risk youth; one at Azelway Boys Ranch in Tyler, Texas and another at the well-known Methodist Children's Home in Waco, Texas. While in Waco, Matt also developed and managed an 80 horse boarding and training facility for McLennan Community College's Highlander Ranch. During these years, Matt successfully started hundreds of young horses for many different disciplines including racing, reining, cutting and dressage. Truly, there is no better teacher than learning from the horse itself. Others began to realize Matt had a true gift when it came to riding and it was not long before his training business expanded. In 2006, Matt relocated to Tex-Over Farm in Conroe where he trained horses and coached riders under the tutelage of Paul Kathen. In 2010, Matt moved to Twinwood Equestrian Center to officially start his own training business, successfully building Matt Cunningham Dressage. In August 2016 Matt, along side Taylor, relocated to Steffen and Shannon Peter's beautiful Arroyo Del Mar in San Diego, California bringing MCD to its current location. Matt has earned numerous Regional and National Level Titles on horses he has personally trained. To sum up the recent years, in 2014, Matt was Region 9 Open Intermediate Champion. In 2013, he was the National 4th Level Musical Freestyle Champion. In 2012, he was the National 3rd Level Musical Freestyle Champion, and Region 9 Open 3rd Level Champion. Because of his wide range of experience, Matt is very unique in applying his skills to all facets of training horse and rider. He enjoys all aspects of horsemanship and sharing this knowledge with those willing to learn.